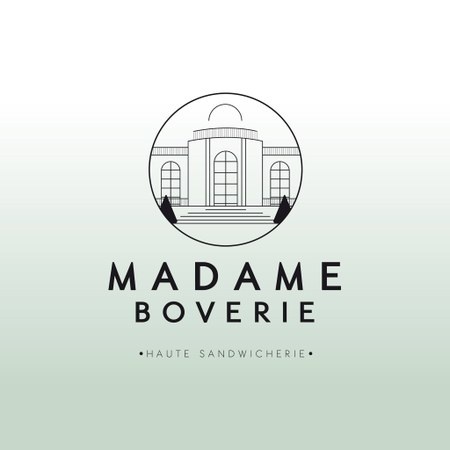 Located inside the museum, the fine sandwich bar "Madame Boverie" welcomes you from Tuesday to Sunday, from 10:00 to 18:00. Madame Boverie offers original recipes with authentic, fresh ingredients selected same-day. It's not quite Organic, but it's reasonable! So come enjoy the bagels, such as the authentic "Emma" (Scottish smoked salmon, creme cheese, a touch of horseradish, and a few watercress leaves) and "Le Rodolph" (slices of rare beef, cheddar, spicy mayonnaise, and caramelized onions), or the old-fashioned baguette from Delecta with half-salt échiré butter and freshly sliced ham. Madame Boverie also offers "Lunches on the Lawn", gourmet picnic baskets "to go" for the park all summer long.